The curriculum at Baylor Law is structured to provide a logical progression of legal study from fundamental legal doctrines in first-year courses to increasingly more sophisticated and complex issues in second- and third-year courses. You will find the broad exposure to legal fundamentals and the well-rounded education and training of our curriculum teaches you to be an outstanding lawyer-one who is prepared to pass the bar exam and is sought after by legal employers, including top law firms, business corporations, government and the judiciary. JD/MBA, JD/M Taxation, JD/MPPA, all 3 1/2 to 4 year programs. 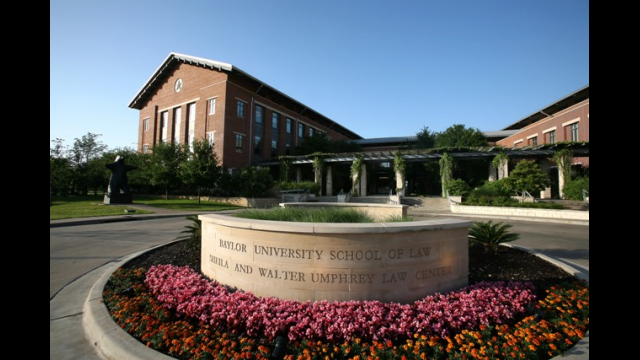 Want more info about Baylor University School of Law? Get free advice from education experts and Noodle community members.